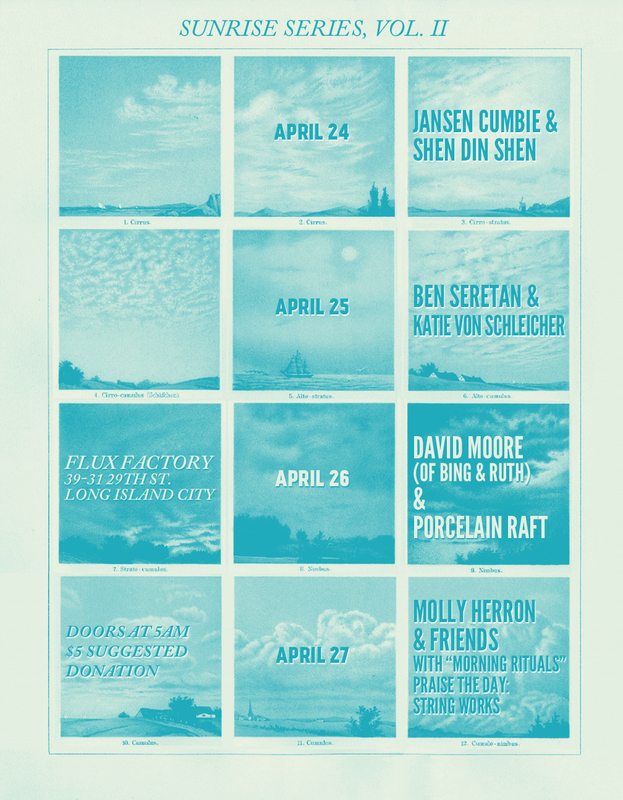 Four quiet concerts during four days of sunrise, happening in the Flux Factory Gallery. And special thanks to Stumptown Coffee Roasters for providing fresh coffee for the early mornings! Housebroken: Film screening of Marie Losier’s Papal Broken-Dance, Cet Air La, and other videos. The Art+Feminism Wikipedia Edit-a-thon is a collaborative campaign to help improve coverage of women and the arts on Wikipedia.